Skateboarding goofy-footed around NYC and the world was Harold’s perfect way to spread his love and share his talent. Harold was born and raised on the Lower East Side of Manhattan and became one of New York City’s most talented and respected skateboarders. With the help of sponsorship and his magnetic personality, Harold was able to travel and perform as an actor, dancer, comedian and athlete while he enchanted people young and old, rich and poor, foreign and the guy on the park bench in Tomkins Square. After his tragic death in 2006 came an outpouring of love and great stories about Harold from all over the world. What stands out most are the stories from young skateboarders whose lives were changed when they met Harold; he showed them respect and took time to listen, teach and make them smile. For those who knew him, simply bumping into Harold would make your day. 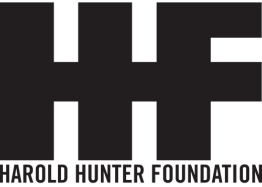 It is the goal of the Harold Hunter Foundation to continue Harold’s legacy because Legends Never Die!